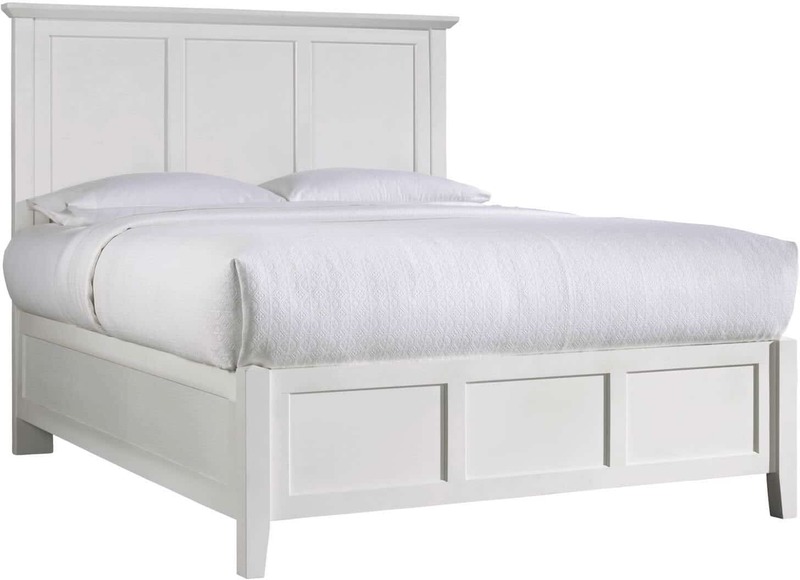 Get a fresh take on classic Shaker style with the Paragon bedroom from Modus Furniture. Crafted entirely from solid Mahogany in an linen white finish, this group features a simple, framed panel design with reverse bevel floating tops. A Storage option is also available pictured below. Hook-on rail fittings for fast, easy assembly and long-term durability. 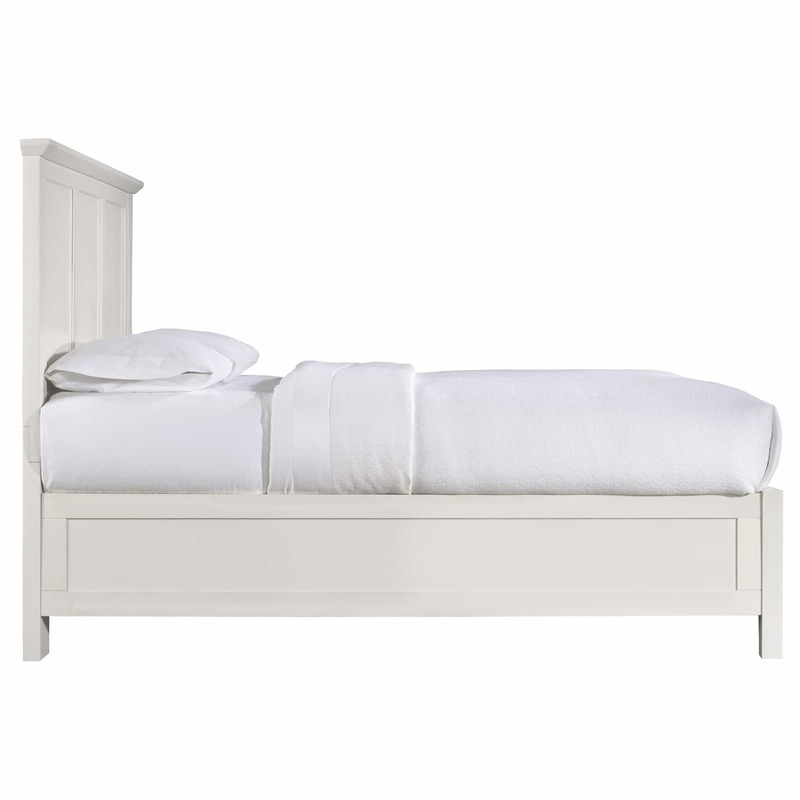 Includes 3 bed slats for use with a standard mattress set.